Sometimes it is useful to be able to start a computer not with its installed OS, but with another OS. to clean up and rescue data after virus infestation. to rescue data after crash of the system hard disk. So, people have developed so-called Linux Live Systems. Formerly, these have been usable from CD – and they still are – if your computer has an optical drive. But many newer PCs and Laptops do not have an optical drive. If you want to start such a computer with a live system, you need to put it onto an USB stick. 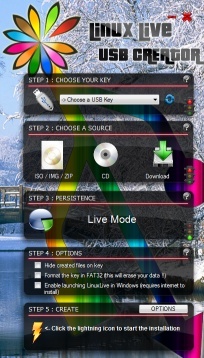 For this task, the Linux Live USB Creator (Lili) has been created. Though it has got a terrible transparent/half-transparent UI, it is really easy to use, its documentation is decent and you can easily create a bootable Linux Live USB from e.g. 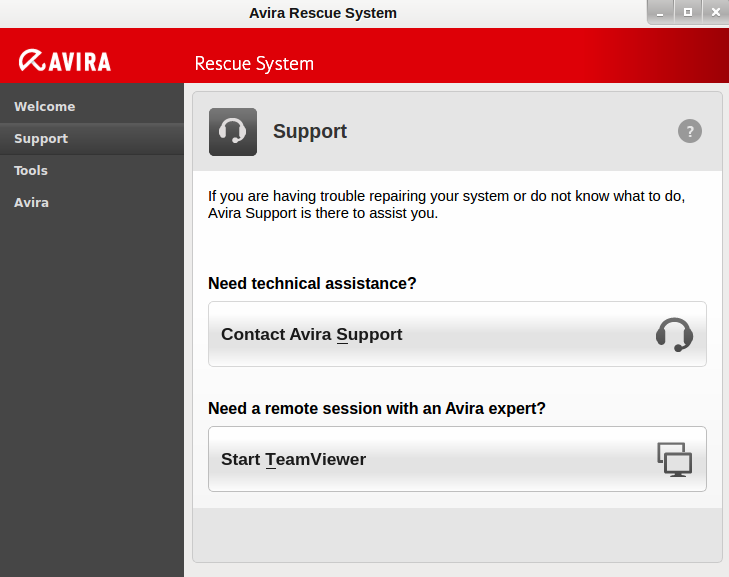 the Avira Rescue System or one of dozens of other Linux distributions. For the Avira Rescue System you cannot have persistence, so skip step 3. Also you don’t want to start your Avira Rescue System from Windows, and normally you don’t want to hide your files: Unselect all three checkboxes in step 4. If you want to start a live system directly from Windows, you can select the corresponding option in Lili’s step 4. Then a special version of VirtualBox will be put onto the stick and you can run your live system inside VirtualBox. To make your PC willing to boot from the created USB stick, you probably have to change some BIOS settings. You can reach the BIOS settings by pressing one of the keys Del, Esc, F1, F2, F8, F12 during boot. It is different from PC to PC. Many PCs write a short notice onto the screen during boot which key to press. But also some don’t and with some the text disappears too fast to read it so you have to guess. If you’ve got a PC with UEFI BIOS, you probably have to enable the Compatibility Support Module (CSM) and/or disable Secure Boot. You still might get problems: PCs with UEFI BIOS often use the GPT partitioning scheme for their hard drive and many live systems cannot cope with the GPT partitioning scheme. In the 03/2014 issue of the german computer magazine com! 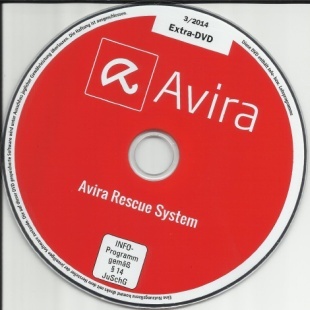 there has been the very helpful Avira Rescue DVD. the Avira Rescue System including a virus scanner. If an internet connection is available, the virus scanner downloads the latest virus signatures. A Team Viewer client. You get to the Team Viewer client via the second tab Support in the Avira Rescue System. See image below. The Avira registry editor. You can start it via the third tab Tools in the Avira Rescue System. And the best: the DVD also contains an iso image of a CD which contains nearly all the stuff mentioned above. You can download the rescue iso image and the manual directly from Avira. Of course, you can put the iso image to an USB stick to make a bootable USB rescue stick, too. The com! DVD contains the Linux Live USB Creator to do this. The rescue system does work on Win 7 PCs and Laptops and Win 8 PCs, but not on Win 8 Laptops. 1. Click onto the topmost icon in the start screen, Dash. This will open a window containing the last used programs. 2. Here, click onto the second icon at the bottom which looks like a ruler besides a pencil besides a pen. 3. In the next view, click onto Show 45 more results somewhere in the middle of the screen. 4. Now you’ll see all the installed tools. In the running file browser or other tools, you can find your C: drive under File System/target/C:. What do you use as a rescue tool? As you can see from my posts about password managers, I’m a bit paranoid with the internet. One virus checker is not enough for me. Indeed, I let VirusTotal check every executable I download from the internet. VirusTotal uses 50 or so virus scanners and scans your file with all of them. You can upload files with a size of up to 64 MB. It should be safer to let VirusTotal check your downloads than to trust your single anti virus software. If we can trust VirusTotal, that is. What is even better than using VirusTotal by uploading files to their web page is to install the VirusTotal Uploader on your PC. You get a popup menu entry Send to > VirusTotal. Often, the uploader is much faster. Because before uploading the file, the uploader calculates a hash from the file and asks at home if this file has already been analyzed. If yes, your file needs not to be uploaded and not to be analyzed. The uploader then just shows the result. This is very often the case and saves you a lot of time when you don’t have a fast uplink. The only disadvantage of the uploader: It can upload only files up to 32 MB. The picture below shows a VirusTotal result page.